Every year in the desert near San Francisco, a festival is held where everyone can come. In this place you can perfectly relax away from civilization and see around yourself thousands of people on cars. Our heroine of the game wants this year to create a super image and visit there. Let's help her choose which hairstyle is best done. 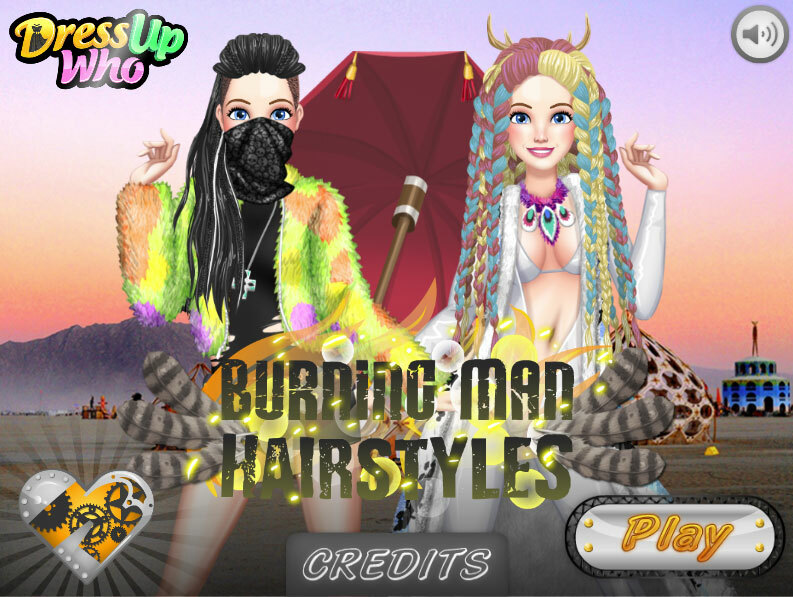 In addition, you can try to make all three types of hairstyle and choose the best. Use the mouse to help the girl recreate the image that she chose in the photo. Played: 2691. Added: 12-09-2018, 08:55.